Keyboardist Sarah Goldstone (Hurray For The Riff Raff), guitarist Dave Harrington (Darkside), and bassist Caitlin Gray, improvise a beautiful and wide ranging soundtrack to Tarsem Singh’s 2008 adventure fantasy film, The Fall. Bassist Scott Colberg (Calexico), guitarist Kirk Schoenherr (Nick Murphy fka Chet Faker) & keyboardist Steve Okonski (The National Reserve) swung by the studio to create a new improvised soundtrack to the classic 1971 American action road movie, Vanishing Point. Happy One Year Anniversary to Cinema Improv! For the 12th episode, we are lucky to have guitarist Jonny Lam (Sinkane, David Byrne), Michael Ish Montgomery (Sinkane) & Philip Mayer (Natalie Merchant, The Band's Visit musical) in the studio. Join us for an improvised soundtrack to one of the greatest films of our time, Raiders of the Lost Ark! 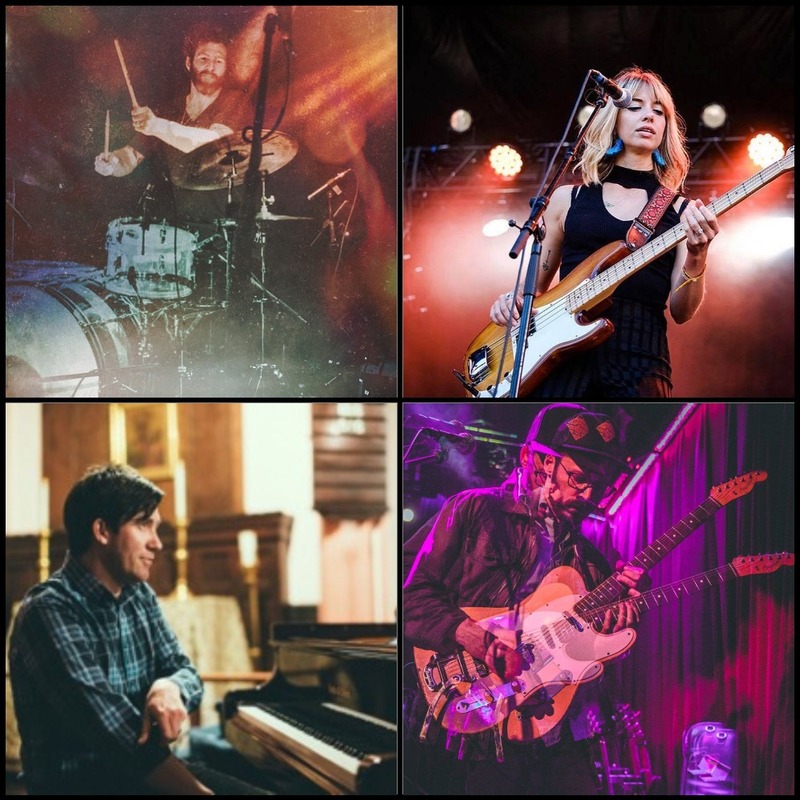 Our 11th episode features guitarist Justin Mazer (Ryan Montbleau), bassist Caitlin Gray (Hurray for the Riff Raff), keyboardist Matt Trowbridge (RANA) and drummer David Butler (Guster, Marco Benevento) as they improvise a soundtrack to Godfrey Reggio's cult classic documentary, Koyaanisqatsi. Philip Glass move over! We are going big for episode 10 with the most psychedelic and intense film to date and I couldn't have assembled a better crew of musicians to tackle it. Today we have Dave Harrington (Darkside) on guitar, Robbie "Seahag" Mangano (Tom Morello, Sean Lennon) on guitar and bass, and Steve Okonski (The National Reserve) on keys and synths. Enjoy! Guitarist Scott Metzger was inspired by playing on the Cinema Improv episode of 2001: A Space Odyssey, so he decided to make his own remix of the session. What he came up with is a very cool and weird piece of music that totally spins the original on its head. This month we are going way past the moon in an epic drama of adventure and space exploration with Stanley Kubrick’s 2001: A Space Odyssey. I'm really excited to have this trio for this film consisting of Marc Friedman (The Slip, Ryan Montbleau) on bass, Scott Metzger (JRAD, Wolf!) on guitar and myself on drum kit and percussion. Get ready to get weird! In episode 8, we are going to a world beyond words with the 1992 magical non-narrative documentary epic, Baraka. Guitarist Jon LaDeau from The National Reserve and bassist Andrew Altman from Railroad Earth came by to help improvise an album while watching the movie. The jams go deep with this one so I hope you enjoy!